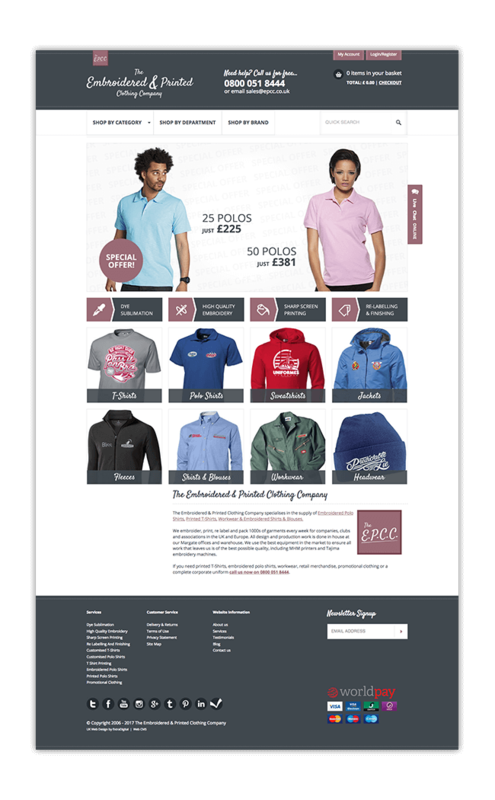 The Embroidered & Printed Clothing Company (The EPCC) are one of the UK’s leading suppliers and manufacturers of embroidered clothing, screen printed garments and branded workwear. With all of their processes taking place in-house, they can give their customers assured quality and a fast turnaround. They came to us originally with the aim to redesign and rebuilding their existing website to help give the website a fresh look and better functionality. ExtraDigital produced a unique eCommerce website design that had a strong focus on user experience to ensure ease of use. 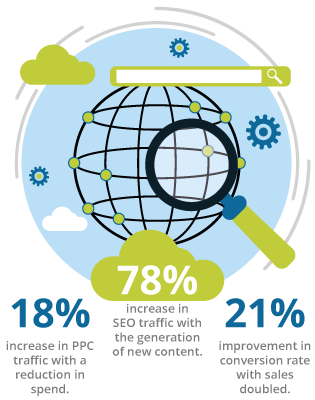 Since 2014, The EPCC has seen a large improvement in their traffic levels, sales and reputation when compared to their previous website.